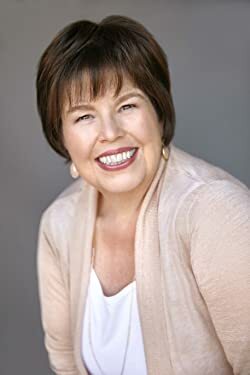 Debbie Macomber is an author of many firsts. Her book Heartsong was the first romance to score a review by Publishers Weekly. Based on the votes of fans in 2005, she was the first winner of the Quill Award for romance. In 2013, she began developing and producing the first original scripted series (Cedar Cove) appearing on the Hallmark Channel. Please enter your email address and click the Follow button to follow Debbie Macomber! The Forgetful Bride by Debbie Macomber released on Nov 27, 2017 is available now for purchase. A Convenient BeginningAleksandr Berinksi is a Russian biochemist in the U.S. on a visa that is about to expire. Marriage will allow him to staymarriage to Julia Conrad. If Julia's going to save her Seattle-based company, she needs him as much as he needs her. There's a Groom Wanted in Julia's life. And not just any groom! and in no time she's the Bride Wanted in Chase's life! Mother-to-be Mary Jo Wyse arrives in Cedar Cove on Christmas Eve, searching for her baby's father. David Rhodes had said he'd be in town. But he isn't. Which leaves Mary Jo stranded, pregnant and alone. And there's no room at the local inn. Mom and Mr. Valentine by Judith Bowen released on Feb 01, 2008 is available now for purchase. The sequel to #1 New York Times bestselling author Debbie Macomber's classic Someday Soon!When stubborn but proper Texas postmistress Letty Madden hires a rough soldier, Jack Murphy, to help her find her brother for the price of one night together, she has no idea that he will fall deeply in love with her.